At Coast Range CrossFit, we believe anything is possible. That's why we push our members to reach their maximum potential. Each success story is near and dear to our hearts. At Coast Range CrossFit, training is truly a team effort. Educated and very knowledgeable coaches. They watch your form very closely to avoid injury and improper form. I went there for the first time maybe a year ago and fell in love. The coaches, the environment, the people, the equipment, programming, and atmosphere. It’s all contagious. The positive environment has changed my life. I look forward to seeing my friends and coaches. I feel comfortable and happy here. You can go to other boxes and with experience, I can say I was taught and coached “the wrong way.” Improper form and little supervision. Very little structure and not a lot of knowledgeable coaching. 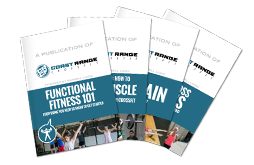 When I walked into Coast Range CrossFit, the coaches taught me proper and efficient form. I am very pleased, happy, and honored to be a part of this community and group. My hubby and I travel from Willow Glen all the way to Gilroy just to be a part of this box. I think that says enough. If you are looking to have fun while working out, be enriched with education and diet, along with enjoying every moment, drop in and give them a try. I dropped into this gym to work out with a friend who’s a member. The energy was great and all the members were friendly. The equipment was of high quality. The owners were welcoming and very helpful. I’d definitely be a member if I lived in town. Thanks for the great workout and experience! If you have ever been curious about CrossFit this is the place to go. Talented and caring coaches that are able to make it a safe and high-quality environment. It’s a family of members and staff.